The bitter political and legal fight between Santa Clara County and President Donald Trump is escalating. The county filed a federal lawsuit that numerous cities and counties joined to fight the president's so-called Muslim ban. On Wednesday, Santa Clara County publicly slammed Trump's proposed budget. "It really is a cruel and vicious attack on those in need in our country," Santa Clara County Executive Jeff Smith said. 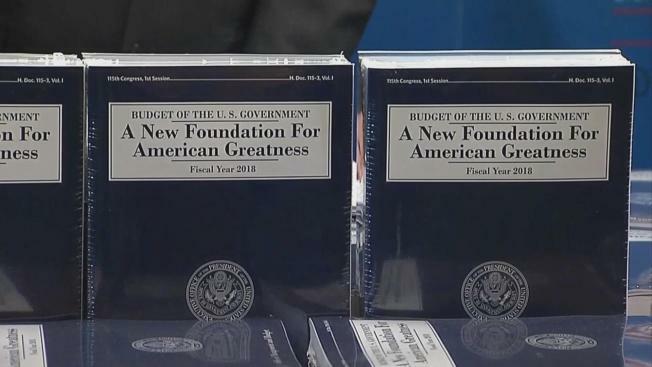 The county is evaluating Trump's $4.1 trillion budget and plans a point-by-point response and possible legal actions. County officials were also annoyed the president included a section that would make it illegal for local law enforcement to deny requests from federal immigration agents. The county agreed with critics who called it a new attempt to punish sanctuary cities. "When he slips something in like that it just tells us we're dealing with an administration that's not being up front," Santa Clara County Board of Supervisors President Dave Cortese said. The county said it is also ready to respond to the administration request for a federal judge to reconsider a ruling blocking the president's executive order wittholding funds from cities not cooperating with U.S. immigration. "They are basically trying to rewrite the executive order to save it," said James Williams with the County Counsel. "They know they can't defend it on its merits." Cortese said the county will issue an official response to the budget. The fight over possible reconsideration of the executive order could be back in federal court within two weeks.